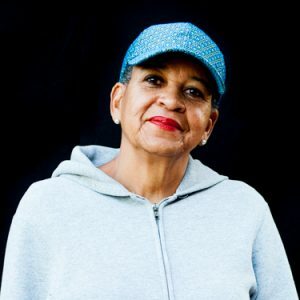 Cathrine Sneed is the director and founder of The Garden Project in San Francisco, California, a program begun in 1992 to provide job training and support to former offenders through counseling and assistance in continuing education while also impacting the environment of their communities. Prior to the Garden Project, Cathrine founded the San Francisco County Jail Horticulture Project (1982-1992), a horticulture-training program for inmates widely recognized as a milestone in prisoner rehabilitation. The United States Department of Agriculture hails the Garden Project as “one of the most innovative and successful community-based crime prevention programs in the country.” Today, the Garden Project is partnered with the San Francisco Sheriff’s Department, the San Francisco Public Utilities Commission, the San Francisco Police Department, and more than twenty-five community organizations to empower at risk young adults through environmentally based job training and life skills programming while transforming the urban environment. Sneed was trained in law and agroecology, studied biodynamic gardening at Emerson in England, and completed the agroecology program at UC Santa Cruz in 1987. She has received the Hero for the Earth Award, the National Caring Award, the National Foundation for the Improvement of Justice Award, and the MFK Fisher Award, among others, and has spoken at numerous conferences, colleges and universities. Her story has appeared on the A&E Channel’s “Uncommon Americans” and on the Lifetime Channel. Contact Cathrine Sneed about speaking terms and dates.